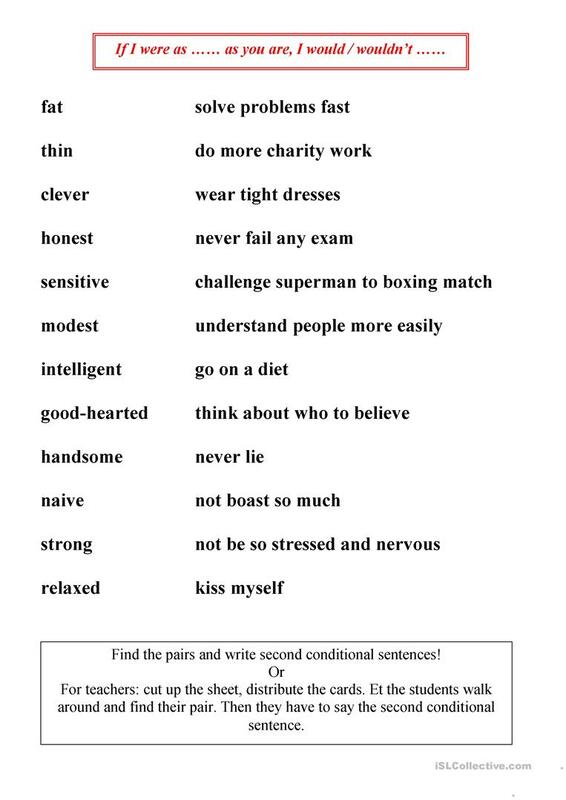 Find the pair and make second conditional sentences. The above downloadable printable is a great resource for high school students and elementary school students at Pre-intermediate (A2) level. It is aimed at teaching Conditionals in English, and was designed for enhancing your learners' Speaking, Reading and Writing skills. It is about the theme of People. catbird is from/lives in Hungary and has been a member of iSLCollective since 2013-01-13 14:14:56. catbird last logged in on 2019-03-29 12:03:52, and has shared 1 resources on iSLCollective so far.